The success of the iPhone 7 and 7 Plus prove that “boring” sells. In Apple’s most recent earnings call, Tim Cook revealed that the iPhone 7 and 7 Plus set a record for the most iPhone sold in a single quarter. 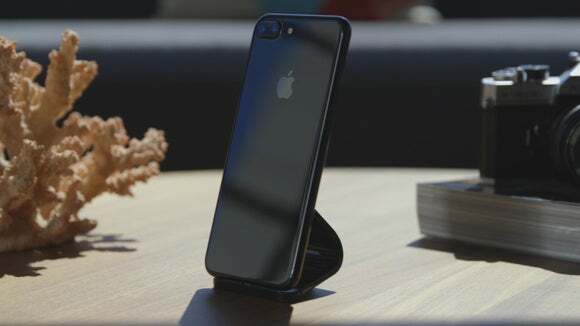 Together, these iPhones sold over 78 million units and made over $54 billion, ending Apple’s three consecutive quarters of declining iPhone sales. In this week’s episode of The iPhone Show, let’s explore what the the success of the iPhone 7 means for the future of the iPhone. After all, the iPhone 7 was originally criticized for being “boring.” But if a boring iPhone can still make billions of dollars, does Apple have any motivation to take a risk and create a “revolutionary” device? Or perhaps Apple did take a big risk with the launch of the iPhone 7, by giving the Plus models exclusive features like the dual-camera system that can take photos in Portrait Mode. In fact, this differentiation between iPhone models was what helped drive more sales. Cook said that the 7 Plus is the bestselling Plus model ever, even though it commands a higher price tag. What do you think? Will Apple keep releasing “boring” iPhones because they continue to sell so well? Or are we due for a truly innovative device? Let us know by commenting on Macworld’s Facebook page and Twitter feed.